Precision Audio is an authorized dealer for LINE-X Protective Coatings. We can make your pickup truck bed look better and last longer with an expertly installed spray-on bedliners. The coating provides a lifetime of protection against scratches or corrosion, and will increase the resale value of your truck. LINE-X is acknowledged as the industry leader in protective coatings for truck beds, bumpers, steps, fenders and more. LINE-X coatings can withstand years of use and are UV-stable and resistant to chemicals, including chlorine, gasoline, diesel fuel, bleach and most household solvents. The coating adheres directly to your vehicle and seals out moisture. It’s reliable, too – we offer a lifetime warranty on all LINE-X Spray-on bedliners, and even if there is damage that is not covered under warranty, we can repair it quickly and easily. 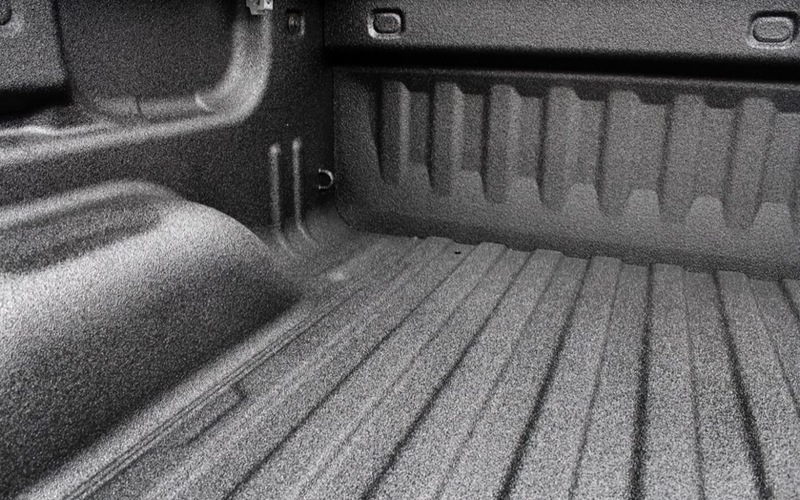 The application of a spray-on bedliner provides infinitely better vehicle protection than a drop-in or lay-in bedliner can provide. 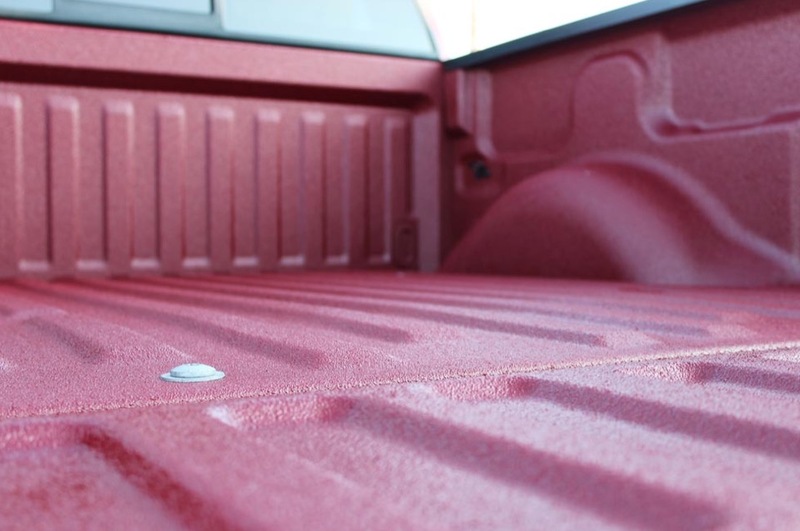 There is no plastic-on-paint friction nor any contaminants that can scratch the truck bed paint. There is no wasted space between the liner and bed walls, or any way for water to get trapped under the bedliner and cause corrosion. LINE-X products feature a high “shore D” hardness rating that offers excellent impact resistance and superior tensile strength. The result is incredible abrasion resistance. All of this means that a quality spray-on bedliner is the best way to protect your truck. LINE-X spray-on protection products feature a combination of spray elastomer, polyurethane and polyurea materials that are used in consumer, industrial, agricultural and military applications. The coatings are shipped to us as two separate materials, and then we heat them and mix in specialized equipment before being applied to your vehicle. Based on an all-solid composition, the coating hardens within 5 seconds of being applied. This allows us to spray vertically or even overhead without any fear of runs or dripping. If you’re of a conservationist bent, there are no solvents associated with LINE-X products, so there are no air pollutants or harmful environmental contaminants. LINE-X products include Standard, Premium, Pro and Platinum bedliner products for the tough, tougher and toughest protection possible. 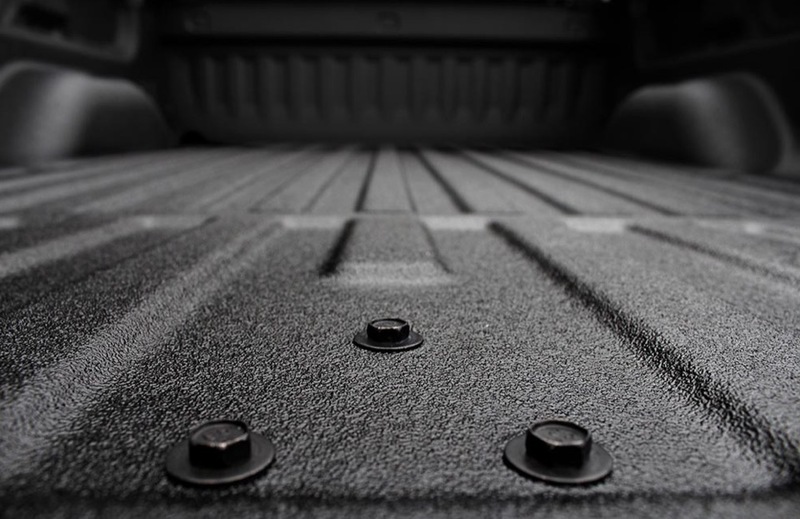 The LINE-X Renew Bedliner Enhancement System can be sprayed over other spray-on bedliner products to bring the protection level up to the LINE-X standard for quality and reliability. LINE-X XTRA is an entirely customizable top coat for LINE-X bedliners that can be dyed to match the color of your truck. Finally, LINE-X Body Armour is specially designed to offer the durability of LINE-X in a tintable product that can be used for restyling your vehicle. Doors, fenders, the hood or rocker panels can be treated with LINE-X Body Armour for a nearly impenetrable layer of protection. Precision Audio has completed extensive training with LINE-X, making us a fully authorized dealer. We take the utmost of care to properly prepare your vehicle for the LINE-X Protection Product you choose. Our thorough and extensive surface preparation, masking, and vehicle protection ensure a 100% reliable application that will last for the life of the vehicle. In Bainbridge and the surrounding south Georgia and north Florida areas, we are the experts in truck accessories. 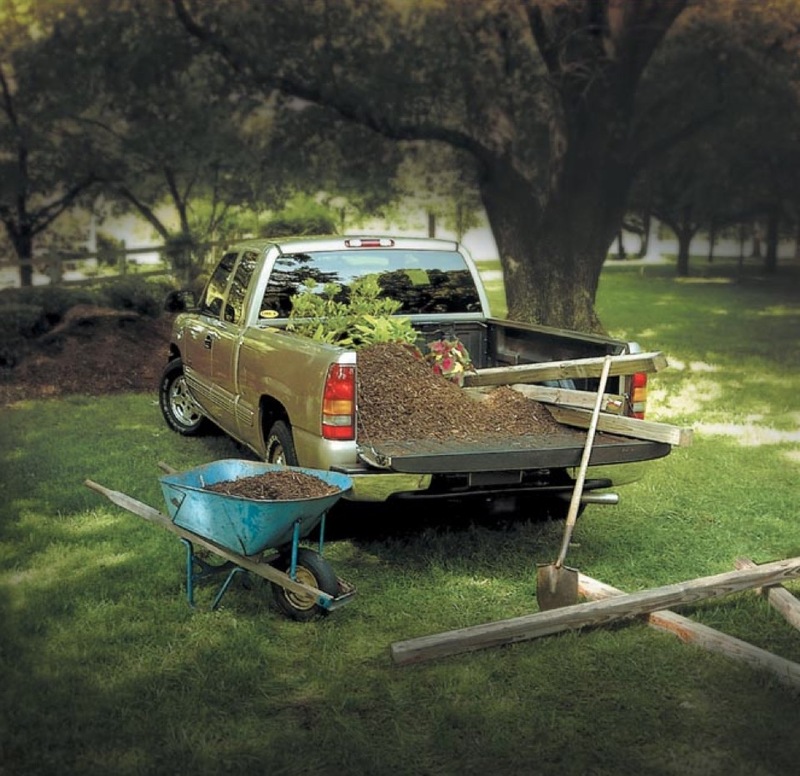 LINE-X products make us the experts in truck bed protection as well. Visit us today or call 229-442-9023 (Bainbridge) or (229) 233-5001 (Thomasville) to schedule a no-cost consultation to evaluate your vehicle’s protection needs or whether you can use any of our vehicle enhancement services or products.